Duluth Harbor Cam: William A Irvin probable move tonight! William A Irvin probable move tonight! 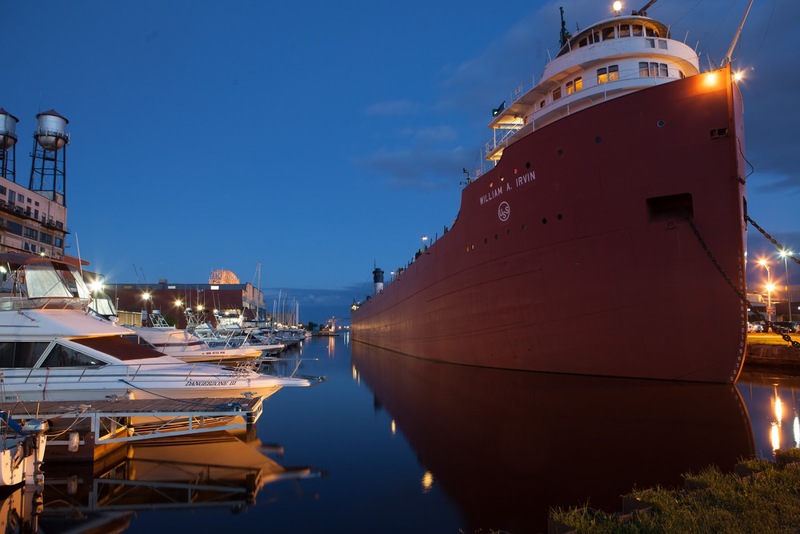 It is possible that the William A Irvin will be pulled out of the Minnesota Slip tonight about 20:00 (over a 4 hour period). I will be turning the Hillside Cam to the area by the DECC. The GLA cam and Pier B will be able to see it once it is out of the Slip. I will also be down there taking a few photos. The Irvin will be towed to Fraser Shipyard for some work over the winter and returned to the slip next Spring. p.s. I don't know how well the cameras will see in the dark. Thank you. We are in another state and you are the best way since we are not there in person! Will there be any videos or pictures of the Irvin going through the Harbor. Did she get moved? I can't find her on the Marine Traffic map.